Michael Jackson by David Lachapelle. Joe, ironically, died two days after the death anniversary of his son, who died in 2009. “Michael Jackson is one of the most influential cultural figures to come out of the 20th century and his legacy continues into the 21st century,” the gallery said. “His significance is widely acknowledged when it comes to music, music videos, dance, choreography and fashion, but “his considerable influence on contemporary art is an untold story”. From Andy Warhol and Isa Genzken to David Hammons and Glenn Ligon, Jackson has been an inspiration for an extraordinary array of leading artists. “Michael Jackson: On the Wall” will bring together the works of over 40 of these artists, drawn from public and private collections around the world, including new works made especially for the exhibition. 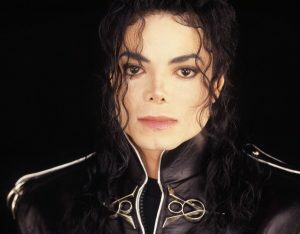 It has been curated by Dr Nicholas Cullinan, Director of the National Portrait Gallery, and will conclude on August 29, on what would have been Michael Jackson’s 60th birthday.